Miami is an amazing place in the winter. Where the rest of the country struggles under the weight of snow and shivers in arctic temperatures, in South Florida, we can relax in the sun! If you’re looking to make the most of this time of year, here are five things to do in Miami this winter. The premier boating even in South Florida, the Miami International Boat Show is back at the Miami Marine Stadium on Virginia Key. 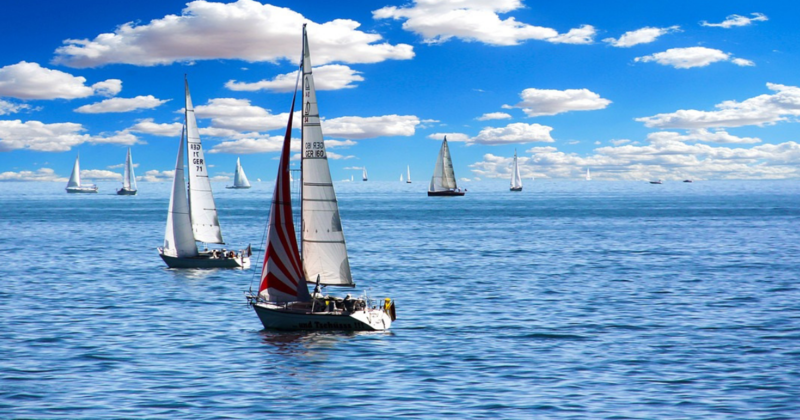 The five-day event, which runs from February 14-18 is the place to be for all things nautical. Showcasing the finest and most-advanced vessels on the water, this event is your chance to see the past, present and future of sailing! For more information visit the official website of the Miami International Boat Show. The richest prize in horse racing returns to South Florida this January! The $9 million horse race attracts only the finest horses from around the globe takes place at Gulfstream Park January 26. This is one of the can’t-miss races on the entire racing calendar, but if you aren’t into horses, don’t worry! With a raucous atmosphere and day-long party – hosted by LIV’s David Grutman – the event is just as good for people watching! For more information, check out the Gulfstream Park site. If you love Miami Beach and Art Deco, January 18-20 is the weekend for you! The architecture that made Miami world-famous gets the royal treatment during Art Deco Weekend. Featuring dozens of live music, walking tour, lecture, art exhibitions, and fashion show events, the weekend is an ode to all things related to Miami Beach’s beautiful facades! For more information, check out Time Out’s event page. Ready for a grueling run? The Miami Marathon takes place this January (the 29th to be precise). In its 17th year, the marathon covers a whole load of Miami real estate – from Bayfront Park to Coconut Grove and Key Biscayne – making it a scenic jog for those in tip-top shape. Cardio lacking? Don’t worry! You can cheer on your friends and family while enjoying some of the tastes of the Magic City! For more information, or to register, visit the Miami Marathon official site. Miami is a beautiful place to live and play at any time of the year. Being able to enjoy the beautiful weather and scenery, however. depends on your health! At GMP Medical, we are dedicated to taking care of you and your entire family. We have over 20 years experience in providing our patients only the best medical treatment. Our goal is the good health of all of our patients. We offer a wide array of services including weight loss management, allergy testing, and Holter monitoring. We also offer Life Fusion IV treatments to help patients boost their libido, athletic performance, liver function, or metabolism. GMP Medical is located in Hialeah, Florida. Give us a call today at (305) 823-2433.